The current standards, which also double up as Spanish all-comers’ records, stand at 2:05:15 and 2:24:48, set in 2017 and 2016 respectively. Boosted by the success of last October’s half marathon, the organisers have brought together a quality line-up capable of improving those marks on Sunday. Eritrea’s Yohanes Gebregergis, a creditable seventh at the World Championships last year, should also be tipped as one of the main favourites. 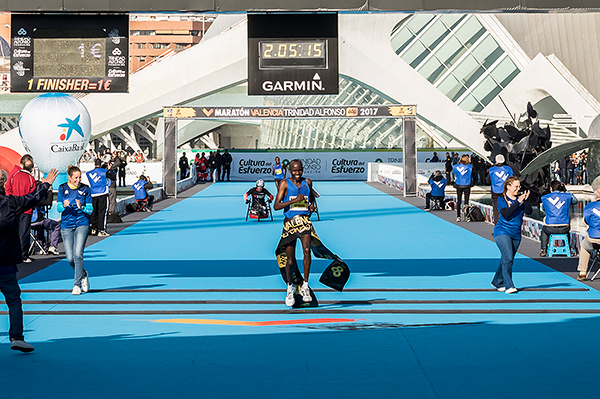 The Madrid-based 24-year-old ran 1:00:16 for the half marathon in Lisbon earlier this year and holds a PB of 2:08:14. 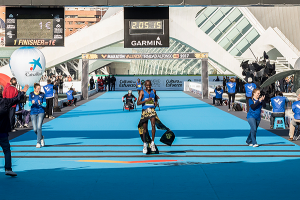 Last year’s victor Aberu Mekuria Zennebe will also be on show although she’ll need to improve sharply on her 2:35:05 season’s best to be in the hunt for victory. Watch out too for her fellow Ethiopian Haimanot Alemayehu as she recorded a fine second place in Seville last February in a career best of 2:25:51. Not to be discounted for the victory are two debutants in the guise of Kenya’s Pauline Korikwiang, fresh from a 1:06:31 half marathon career set in Valencia one month ago and Ethiopia’s current world junior half marathon record holder Meseret Belete Tola, who clocked 1:07:51 for the distance in Copenhagen last 16 September.